If you've ever had a frustrating plumbing problem, you may have wished there was an easier way to get a look at your pipes to determine the issue. Camera inspections are the latest way to get an up-close look at your pipes without excavating. The Plumber's Plumber provides camera inspection services for quick and easy diagnosis of plumbing problems. When is a Camera Inspection Used? Camera inspections are one of the easiest ways to identify plumbing problems and recommend appropriate repairs. If you experience a clog in your sewer line, a camera inspection can pinpoint the precise location of the clog and give our technician an up-close look at the materials blocking your pipe and any resulting damage. Tree root invasion involves different repairs than a clog made of softer paper products, so the camera inspection will allow us to get a look at the nature of your plumbing problems and determine the suitable repairs. Contact us if you notice poor draining in your fixtures, gurgling sounds, puddles around your property, or other symptoms of a plumbing problem. 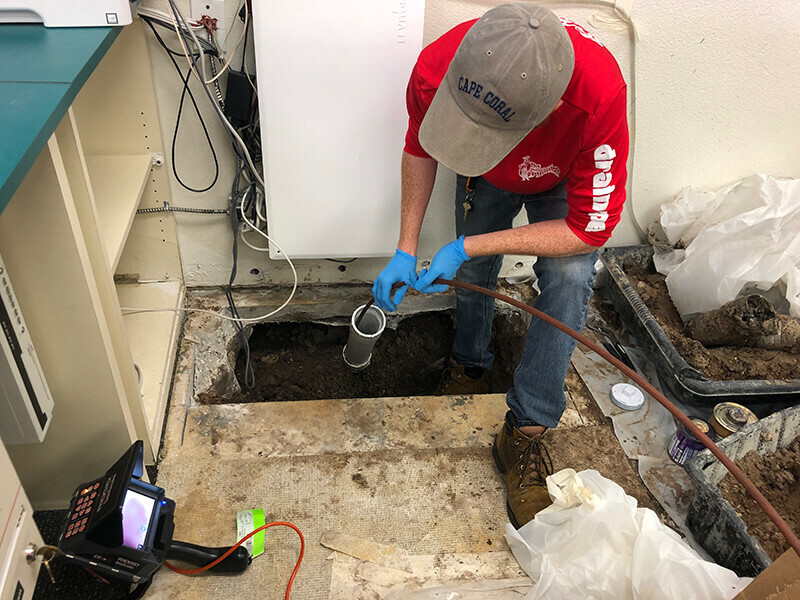 Based on the information gathered during the inspection, we are able to recommend drain cleaning services, pipe repair, and other plumbing solutions with confidence. Another camera inspection is sometimes performed after the repairs are done to make sure they were completed accurately. 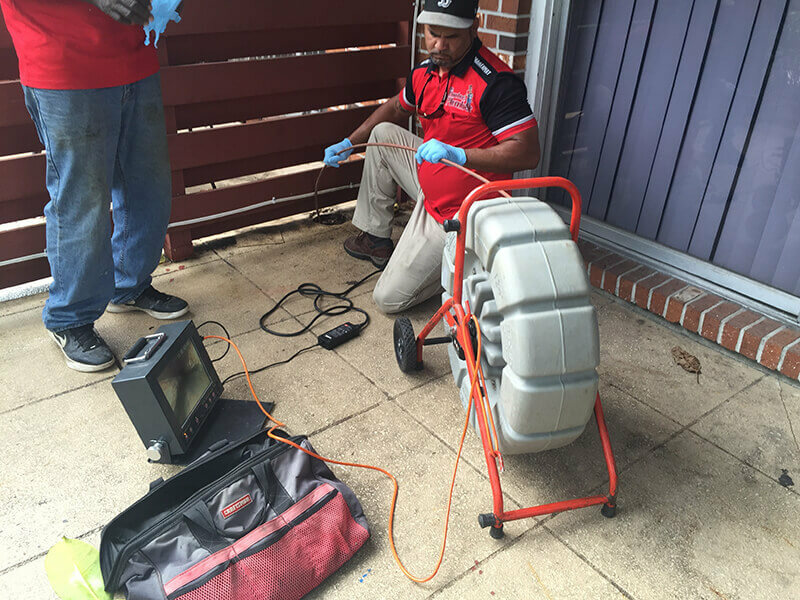 A camera inspection is just one of the many trenchless technologies utilized by The Plumber's Plumber. The equipment is completely safe for use in your pipes and doesn't require digging or other extensive cleaning. The inspection is completed quickly and efficiently, allowing us to get right to work with the necessary repairs. You can feel confident that the repairs are completed correctly the first time, drastically reducing the number of callbacks or secondary repairs. Camera inspections are also a cost-effective and valuable tool for preventive maintenance. When performed on a regular basis, our inspections can identify problems before they turn into a plumbing emergency. Many people will put off a minor plumbing problem until it gets worse. We understand that you might be worried about how much it's going to cost or the impact to your property, but we can still help. Camera inspections and other trenchless repairs allow us to save you time and money on your plumbing repairs. Once you notice signs of a plumbing problem, a camera inspection with The Plumber's Plumber is the best way to pinpoint the source. Give us a call today to schedule a quick and easy camera inspection.